In addition to our talented teachers, we have a handful of dedicated and equally talented staff members helping us behind the scenes. Betsy Davis grew up in Long Island, New York, and studied geology and environmental science at Tulane University. Since then she has worked in education not only as a science, math and outdoor education teacher, but also as a Registrar and Database Manager. Before moving in September 2017, Betsy had been to Jackson numerous times for vacation and NOLS training. She is thrilled to work here now as JHCA’s IT Manager and Registrar, while pursuing her love of the outdoors. After college Ms. Davis moved to New Jersey to teach at Barnstable Academy and then at Montclair Kimberley Academy for five years. There she was a math, science, computer science, and outdoor education teacher. She also coached soccer, softball, and tennis. When her daughter was born, she left Montclair and for the next eighteen years tutored and substitute taught. In 2010, Ms. Davis began working at the Princeton Day School as a registrar, student database manager, AP and PSAT coordinator and lower school scheduler. At this pre-K—12th grade school there were 970 students. “There are very different numbers here at JHCA!” she says. Ms. Davis sometimes misses the interactions with students that her earlier teaching career afforded. She says, “I enjoyed getting to know students; that is what I loved most about being in the classroom.” However, she has found great purpose in school administration as well. “I like detail-oriented tasks and having projects to tackle. I found that my administrative work is similar to putting a puzzle together. I like to fix problems, especially ones where you can see if you’ve solved it.” Ms. Davis has put her skills to use at JHCA, helping launch Owlnet for the 2017-2018 school. Miss Sarah Knight is was born and raised in Georgia, having lived in both Columbus and Atlanta. 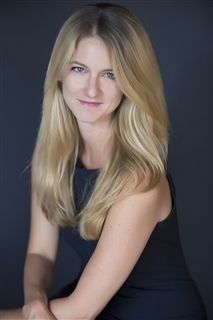 She studied childhood development at Ole Miss and then transferred to the University of Georgia, where she earned a Bachelor of Science in Family and Consumer Science. She then spent the next seven years in Atlanta teaching prekindergarten and spending much of her summer breaks working here in Jackson. During that time, Miss Knight learned what is now one of her favorite hobbies, fly fishing. She moved to Jackson to live here year-round in 2016. Miss Knight also enjoys skiing, cooking, and traveling. Originally from Wilson, WY, Sarah Lustfield graduated from the University of California, Santa Barbara with a degree in the Classics. She went on to attend a program at Christie’s Education in New York City in 19th and 20th century Fine Art, Art Connoisseurship, and the History of the Art Market. After her time in New York, she returned to Jackson where she spent seven years involved in the Jackson Art Market. During this time, she helped Jackson Galleries garner the attention of international art dealers and expand their business and place in the international art world. She then turned her attention to account management and business organization for various local entities including an attorney, a construction company, and a financial services organization. She had spent many years organizing and running large Private Family Trust Companies. She enjoys gardening and spending time with her family: husband Travis, daughter Scarlett, and son Ashton, who both attend the Academy. Mrs. Lustfield’s connection to the classics began in high school. At that time, Maggie Valiente, who serves today as JHCA’s board chair, was helping the Jackson district high school improve its academic standing. She brought in a Latin teacher to begin a Latin program. It became Mrs. Lustfield’s favorite class. During high school she also worked at The National Museum of Wildlife Art. 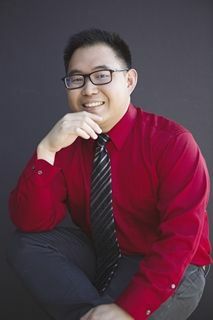 JB Park was born in Korea, and grew up near Los Angeles. He’s always loved cooking food and sharing it with others. JB studied Bible, Music, and Liberal Arts at the Masters College in Santa Clarita before moving to Jackson in 2009. Since moving to the valley, JB has driven school busses, cooked, and catered. He looks forward to continuing to make people smile with his delicious school lunches and genial personality. Mr. John Park, who goes as JB, was born in Korea and moved to the United States when he was three and became a citizen at nineteen. He will be JH Classical Academy’s head chef next year. The JHCA community all got to taste his delicious food at Field Day. Since moving to Jackson, JB has worked as a special events caterer for Jackson Hole high school and as a school bus driver. His outgoing, humble demeanor has made him a favorite with colleagues and students. JB can’t wait to begin working at JHCA. “I am so excited to make delicious dishes for the students and teachers, hear feedback, and tailor the food to the school,” he says. Dan Walker hails originally from the forests of New Hampshire. He has lived in Jackson for the past several years with his wife, Ashleigh, and his two children, Finn and Rylynn, who both attend JH Classical. Dan brings diverse job experiences to the position of advancement and finance manager at JHCA. A former defense contractor, he has worked locally with nonprofits and businesses in accounting and financial management. Dan is excited to contribute his skills to the school and its vision. Mr. Dan Walker began work as the Advancement and Finance Manager for JH Classical Academy on October 16th. He grew up for most his childhood in New Hampshire, where he fondly remembers running around inthe woods from a young age. “Unlike Jackson where the woods are populated by grizzlies and cougars, we really had nothing like that to concern us,” he says, adding, “but at least we don’t have to ski on sheer ice.” He then attended Northeastern University for a five-year degree in international business with the university’s co-op/internship program. During this time he studied at the ESB Business School at Reutlingen University in Germany. Initially scheduled to begin work in Germany following the program, Dan met his future wife Ashleigh while home in New Hampshire, which ultimately expedited his decision to return to the US. Wanting to remain in Jackson, Mr. Walker went on to work in the outdoor apparel industry at Cloudveil Mountain Works where he headed their retail program. He later began his own business in accounting with his wife, working with several businesses and nonprofits in the region. His knowledge of nonprofit financial management developed significantly during this time.